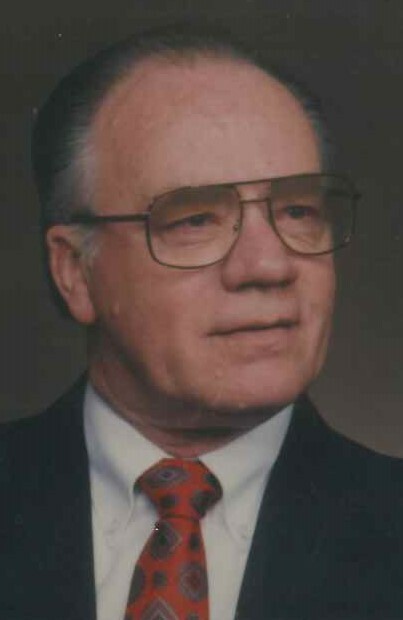 Carroll “Chuck” W. Martin, Age 89, went to be with Jesus, Friday, February 8, 2019. Chuck was born in Akron Ohio on July 9, 1929 and moved to Baxter Tennessee in 1930 where he spent his childhood. He moved to Michigan in 1948 and began his working career at Chrysler where he was employed for 35 years. Chuck enjoyed life and especially loved taking extended vacations with his wife, Anna Joyce. He was an avid NASCAR fan and loved the Detroit Tigers. He enjoyed going to the casino and eating out. One of his greatest joys was spending time with his family and friends which included birthday celebrations at Loma Linda’s. Chuck is survived by his loving wife; Anna Joyce, step daughters; Deborah (Bob) Hasty and Donna (Donnie) Jahns, whom he proudly called his own. Grandchildren; Kristie (Paul) Grandsko, Amy (Jeremy) Miller, Danny (Luci) Jahns, Sarah Jahns, Rylee Jahns and Kasey Jahns, great grandchildren; Tyler (Hailey), Madelynn Joyce, Gage, Logan, Wilma, Khloe and Siennah, great great Grandson; Brady, sister and brother in law; Marjorie and Harry Woody, sisters in law; Janet Wright, Lula Mae Martin, niece, Judy (Glenn) Allison, nephew, Kent (Colleen) Martin and several special nieces and nephews. He was preceded in death by his parents, Willie and Pearlie Martin, brother, Ray Martin and his former wife Betty. Visitation will be held at Reeb Funeral Home, Sylvania, Saturday, February 16, 2019 from 10A.M. until services begin at Noon. The family would like to give a very big and special thank you to the Lakes of Monclova and Heartland Hospice for all the tremendous care and support they have given.